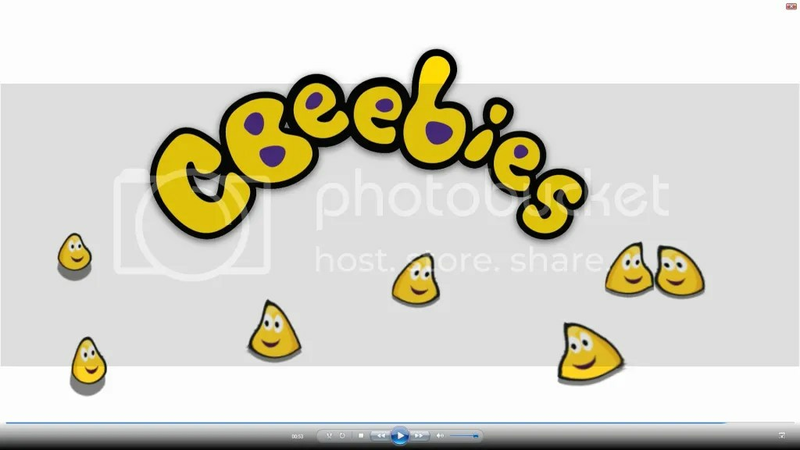 I’ve already blogged on here about my MSc Project making an ident for CBeebies, using the programme Adobe After Effects. I’ve written about some of the physical filming, as well as the Sound Design and Composition, but by far the hardest, more time consuming and most out of my comfort zone has been the animation of the characters. The ‘characters,’ which are the yellow are fairly amorphous so I could animate them simply using after effects and not need to use Maya/Flash. To do this I used a technique called puppet pinning in which points along the edge of an image can be selected and then moved. Often this deforms the object and ruins the effect, but since these objects are intended to be ‘deformed’ it worked really well. 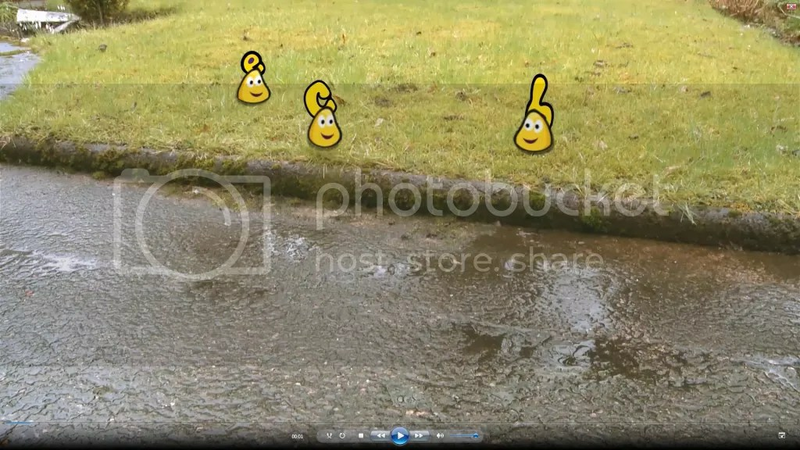 It took a bit of experimentation to find a set of movements that made the characters move in a natural looking way, by varying the length of each pin movement so that they undulated across the screen rather than appearing to slide and float above the ‘ground.’ The effect I was going for was something like a sped-up snail. Sometimes the characters needed only a few pins, but it many scenes they needed to change frame-by-frame. Time consuming but ultimately more effective and satisfying! However they still needed to be integrated with the real life background. I created drop shadows, which were customised to each character and at some points wereanimated so that they appeared to move beneath the character as if the character were jumping. The characters on the left are jumping. As the background is plain, the movement of the shadow gives the impression of 3D space. However the most important technique was masking, which meant that the characters could be a part of the environment, rather than appearing to be pasted over the top. 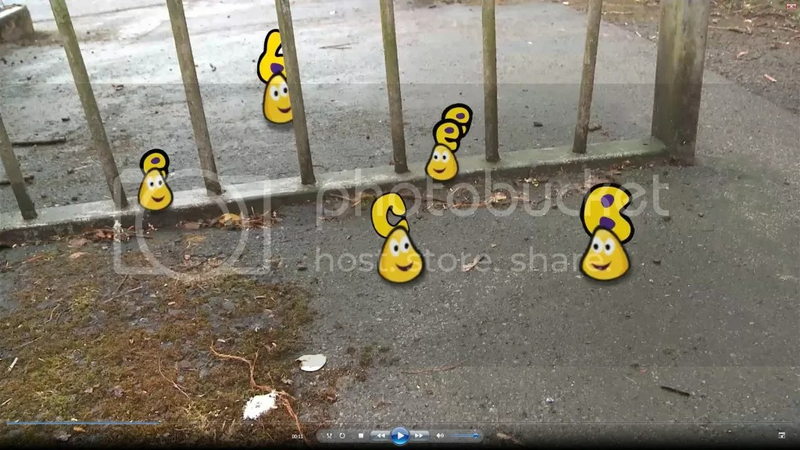 For example, in the scene below the bugs are jumping through the bars of the gate. A mask was placed over the area where the bug starts, which removed that section of the image so it appeared to be behind the gate. The scene also required one piece of 3D animation. 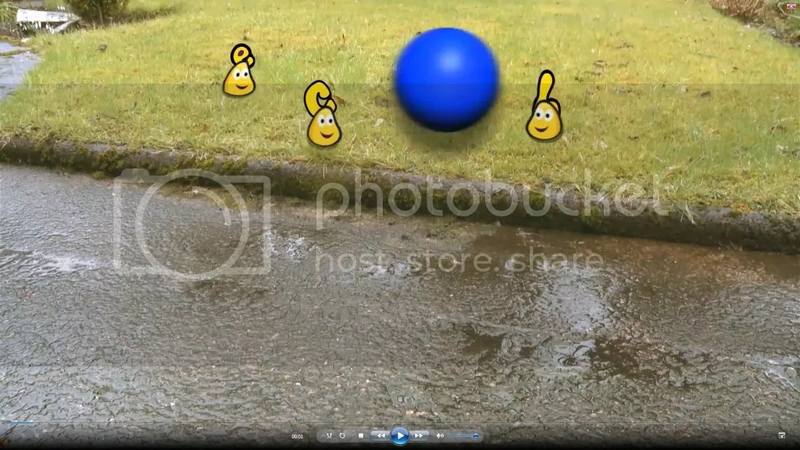 In the first shot, a ball bounces between the bugs, causing them to scatter briefly. In this previous blog, I detailed how I used a green screen so that a real ball could be keyed into the scene. However I soon ran into a problem with this – the ball had blurred as it passed across the camera. This meant that when I attempted to key the background out, the shape of the ball distorted. I couldn’t remove the green without removing some of the blue as well. If we had changed the frame rate of the camera it might have worked. Instead, I decided to create a 3D ball shape within After Effects. As the ball was only onscreen for a second or two, it didn’t need to be perfectly realistic, so a blue shape with points of light and shadow, plus an animated drop shadow was a great replacement. When the ball is moving through the shot it is fast and blurred enough to be convincingly real. However in all this, there were bound to be a few mistakes along the way, which I made sure to capture on video. Some of them turned out pretty funny when rendered and I put together a quick montage. Recently I posted a blog describing the sound design I was creating for my Digital Compositing project. At this point the sound design is nearly finished, the only thing that is currently missing is the sound of children playing in the background (after repeatedly failing to get a good recording of this I will be downloading a track from freesounds.org as soon as I have retrieved my password – oops!) and some room tone for the scenes both outside and inside the studio, which I’ll be getting at MediaCityUK this afternoon. In previous sound design projects the ethos has always been ‘more,’ more ideas, more layers, more samples, more believability. Yet I felt like the more I put into this project the less it worked. The simple music track which I’ve posted below is the driving part of the soundtrack and I felt as if I was starting to overwhelm that. I cut down completely on the atmos tracks. One recording of birdsong and one of wind for the park and suburban shots. One track of traffic for the road. I also removed the ‘voices’ of the characters completely, despite trying different sources (everything from my own voice to my cat to a creaking door) and different techniques, they sounded more like they were being strangled than having cute conversations! The animation shows them ‘miming’ reactions to each other and there are changes of expression, which I think will have to be enough. In this project, using just one appropriate, well recorded sound in the right place worked far better than eight or ten layered tracks that were less convincing.